Intrigued to see how Panahi will continue to work around government restrictions. Dramatic impetus flags rather after a teasing set-up. Perhaps a little slacker than some of his previous outings, but Panahi’s commitment and courage shine through. 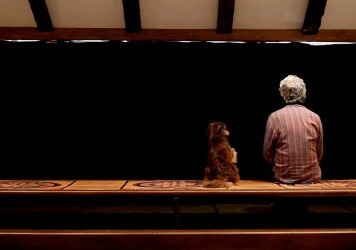 This brisk road movie from Jafar Panahi sees the Iranian director on top observational form. Iranian writer/director Jafar Panahi obviously isn’t a man to let a 20-year state sanctioned filmmaking ban cramp his style. This latest offering is the fourth feature he’s turned out under legal restrictions imposed when he was found guilty of ‘propaganda against the Islamic Republic’. Still, it’s clear from the films themselves that he’s now on a slightly longer leash: where 2011’s This Is Not a Film and 2013’s Closed Curtain were personal reflections on living under house arrest, shooting 2015’s Taxi Tehran in and around a cab negotiating the bustling capital showed a certain freedom of movement, and 3 Faces now takes the form of an extended road trip to the far north west. With its broader geographical canvas, 3 Faces is in many ways the most outward-looking of those recent films, focusing strongly on the right of women to seek acting opportunities despite disapproval from conservative family members. That conflict is so strong that the whole film opens with mobile phone footage of a young woman who’s about to kill herself because her parents won’t let her follow her dreams. The images were sent to one of Iran’s most famous actresses, Behnaz Jafari, who has asked Panahi to drive her to the girl’s home village (pointedly mentioned in the clip) and discover whether the whole ruse is a cry for help, or she has actually done the fatal deed. Jafari, with striking red hair peeking out from under her scarf, is a regular on Iranian TV screens and hence recognised everywhere she goes, though she has also worked in film with the likes of Abbas Kiarostami and Samira Makhmalbaf. As the two wind up in the remote mountains, Jafari at first seems somewhat aggravated to have left a shoot because of some self-dramatising teen, but eventually the bitter irony that the villagers treat her like royalty while assuming that the local lass’s ambitions to take up acting will doubtless end up in prostitution kicks in. Effective as a opening teaser, the suicide scenario only dramatically sustains the film so far, and when the ball does finally drop, 3 Faces thereafter turns into something of an observational doc as the filmy types try hard not to patronise the rough-hewn yokels with their deep-set traditional ways. 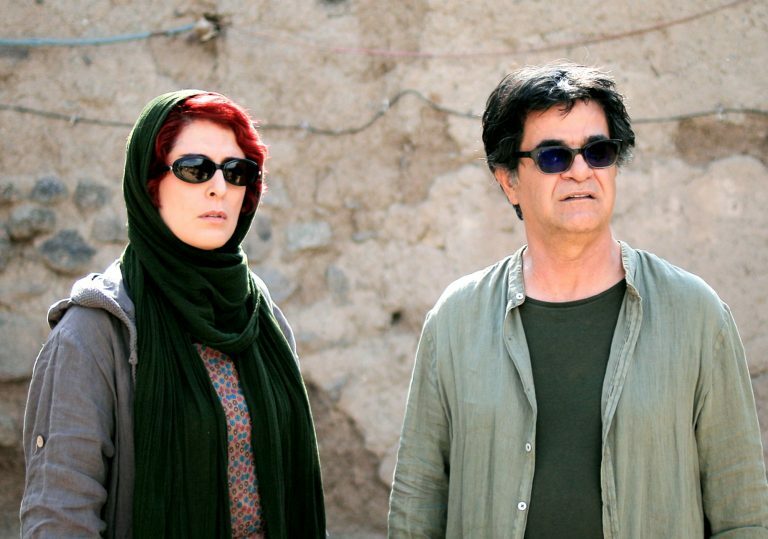 It’s watchable enough, and if Panahi’s political message about the need to question sexist oppression perpetrated unthinkingly in the name of religion hits the target, his somewhat functional style has little of the mystery or poetry that his late mentor Kiarostami showed in rural-set films such as 1997’s Taste of Cherry and 1999’s The Wind Will Carry Us. That said, while the film’s tendency to meander does it few favours, there’s a certain defiance which strikes a nerve when we get to the third face hinted at by the title – here living as a virtual outcast is a star actress from pre-Islamic Revolution days. Panahi respects her wish to remain off-screen, which only highlights her current status as a non-person, but even so the inference that she has found a life for herself as painter and poet offers an affirmative indication that life goes on… even without state approval. Jafar Panahi’s second film made under house arrest is a riveting meditation on censorship and defiance. Despite facing severe restrictions Iran’s most important filmmakers continue to give its people a voice. This lyrical, on-the-fly road movie about the cinematic and poetic value of daily existence is a must see.